What do nuns wear under the habit? 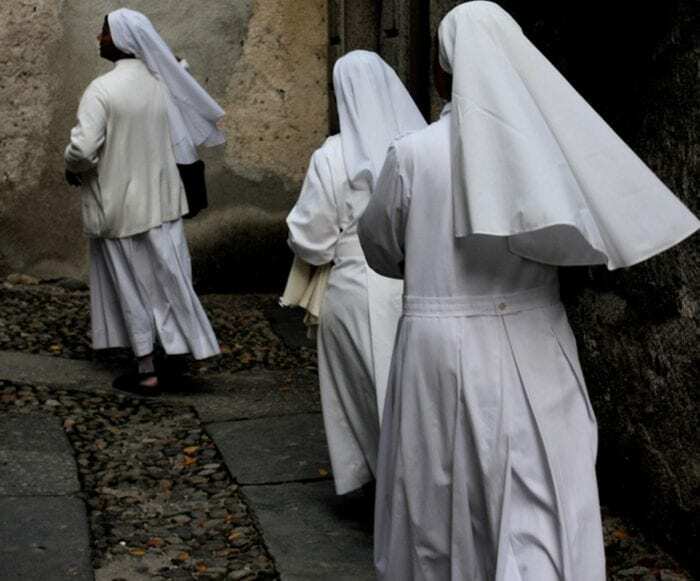 Nuns are not required to wear anything specific underneath their heavy woollen habits, with some wearing normal underwear and others wearing t-shirts and shorts. Some in really warm climates actually do not wear anything. However, nuns do not wear habits when they go to sleep. They wear normal pyjamas and nightgowns just like any other woman. More or less, there really is not anything super special about what is going on under a nun’s habit. Nuns who go to the convent must make three vows to God before they are even allowed to become nuns. 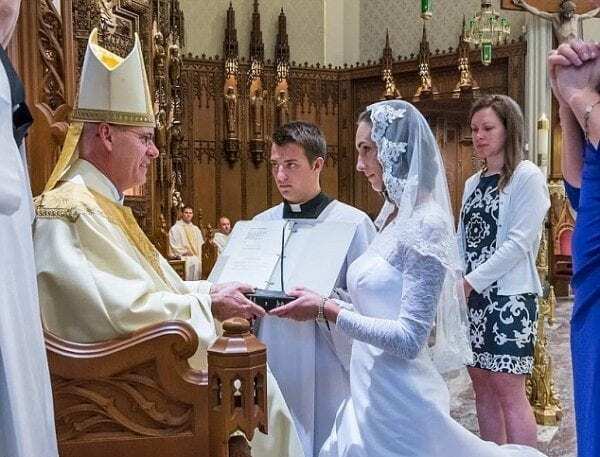 They must vow to remain unwed and not have any physical relations with men – instead entering into holy matrimony with Jesus. Finally, they must pledge to be obedient to the head of the convent. 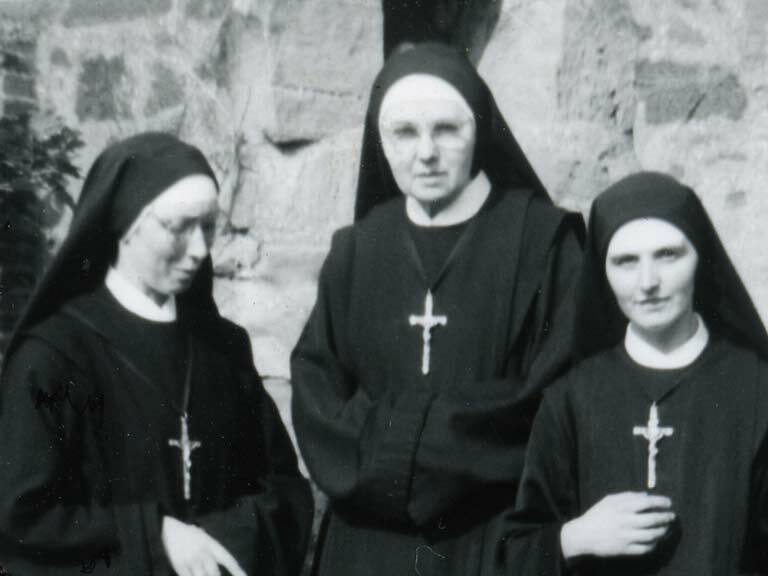 If you’re thinking of becoming a nun and joining a cloister in order to get rich, you may want to think again. 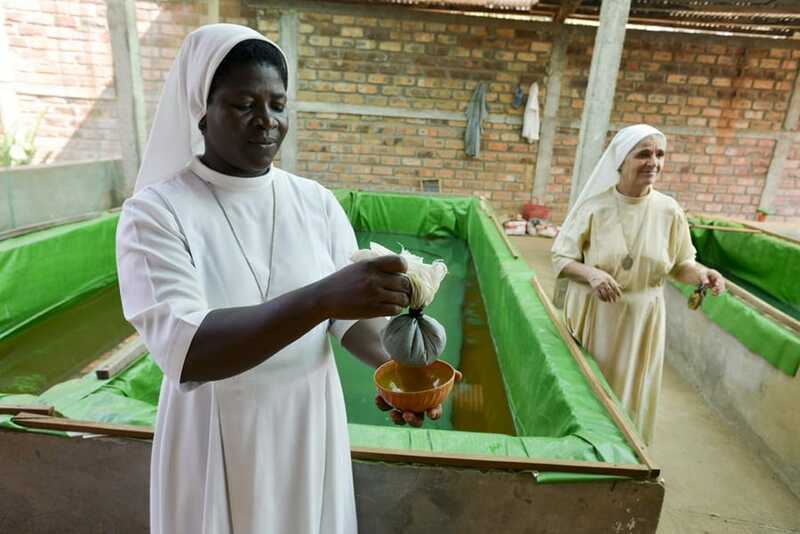 Nuns take a vow of poverty, so they actually don’t make any money at all. They give all of their money they earn (if they earn any) to the church and trust that the church will allocate the money to provide them with food water and shelter. They do this to remind them to keep faith that God will provide. Can nuns go to the beach? 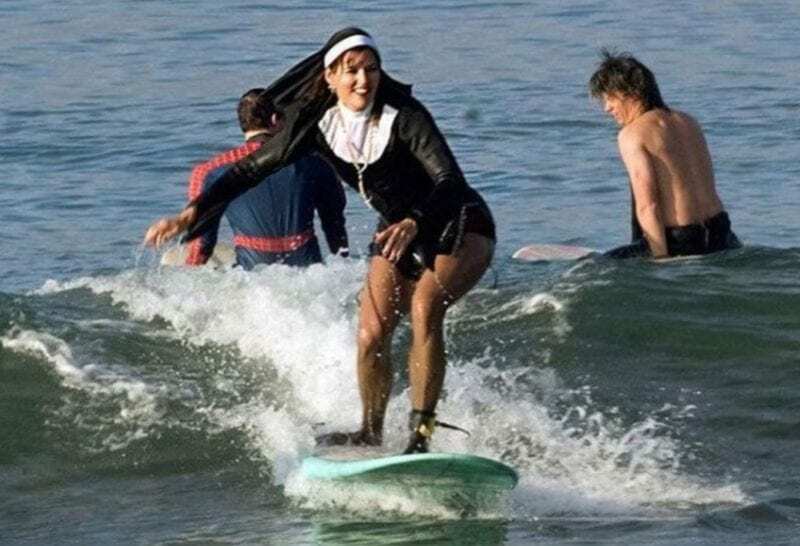 Nuns do indeed go to the beach, but if and only if they receive prior approval from the head abbess or abbot of the monastery or abbey they live in. However, if they do go to the beach, the nuns must all stick together and wear modest clothing. This typically consists of a bathing habit, which is a habit they use and wear when they are about to get dirty, such as when they do gardening. Nuns are typically, like the rest of us, not allowed to swear. We have rules of social public decorum, and one of those is eliminating the use of swear words from our vocabulary. Nuns follow the same social construct regarding this pattern of speech. 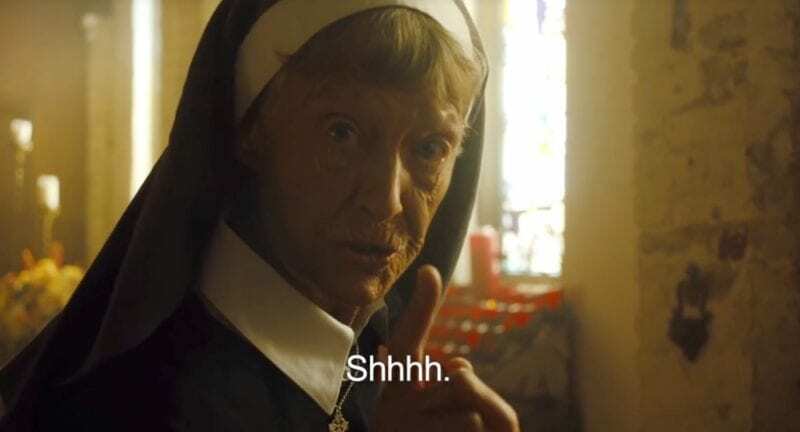 However, there is nothing to say that a nun will not, on accident and in the privacy of their own room, accidentally let out a curse word or two when they stub their toe. 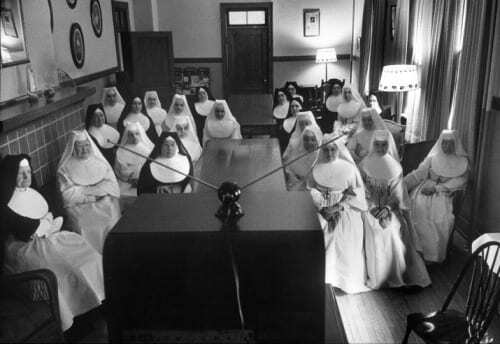 Some nuns do in fact watch television, but they typically watch only the news. Due to their vows of poverty, many of these women with televisions usually only have local channels. Many times, if they watch television, they will watch public broadcasting. However, many times nuns are simply too busy to watch television, usually immersed in prayer or doing chores around the monastery. No word on whether or not they’ve been outfitted with plasma screens though. 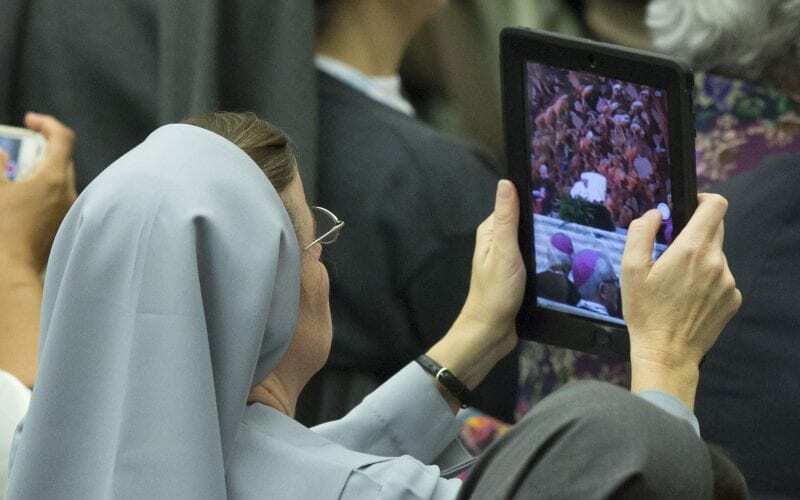 Nuns are not supposed to have or use smartphones, at least according to Pope Francis who issued a papal decree to that effect in 2016. He says that while mobile phone and tablet usage may be good for outreach, they are full of social media, something which may tempt many people out of monasteries and away from the religion itself. The Pope also says that social media and smartphones take away from prayer and reverence of God. 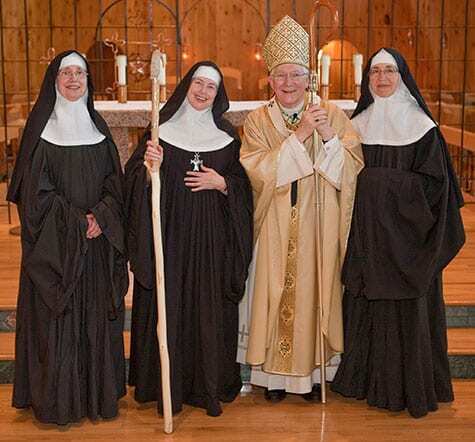 It is indeed permissible for nuns to get married, but not in the way that you are thinking. When joining a cloister, they do vow themselves to God. They actually make this vow in a ceremony which is very similar, but just not quite an actual wedding. So while they are not marrying another person, they are actually marrying Jesus. However, there have been cases whereby former nuns go on to get married, but only once they have left the monastic lifestyle. There are many instances whereby women get married and then decided that their live’s vocation is to become a nun or a sister. This is totally fine. 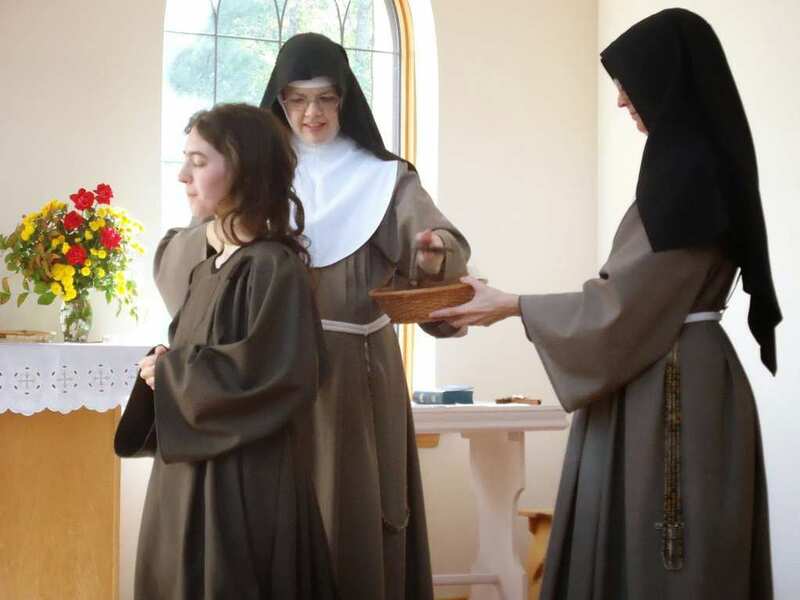 However, before they can begin the process of becoming a nun or sister and get accepted into the monastery or abbey, they must legally annul their marriage to their human spouse so that they can take similar vows in order to be in the service of Christ. Can a non-virgin become a nun? Women who have known men before can indeed become nuns, and there is a long and storied history of this occurring. There are a whole plethora of models and actresses who gave up their worldly, bodily lives for the closeness of the convent. So long as a woman’s vocation is to serve God, and so long as they are in good standing with the church, they will be allowed to become nuns and sisters. What do nuns do with their urges? When a nun gets the urge to “get to know someone” in the biblical sense, these women have a variety of ways of mitigating these feelings. Many times, they will go and splash cold water on their faces. Other times, they will talk about these urges with other nuns who have undoubtedly felt these same, human urges. In fact, many nuns realize and understand that for many people these urges help them to form a stronger union, and don’t look down upon it. Depending on the order will depend upon what type of food the nun will be able to eat. While they may eat a whole range of different types of foods, there are more austere groups which will only eat bread, rice and beans. Sometimes if there is a garden in the monastery, the nuns will eat whatever fresh fruits and vegetables they grow. However, meat is generally served only on rare occasions as meat is considered a “luxury” food. In the late 1930s, a doctor named Dr. Bob Smith was recovering from a substance abuse problem on his own and with no help. One day as he was working at the St. Thomas Hospital in Akron, OH he ran into a nurse named Sister Mary. She believed in treating substance abuse as if it were an illness, and helped cure the doctor of his disease. He would later to go on to found AA, which helps millions of people every year. Which sects of Christianity have nuns? The history of women cloistering themselves off is something which is common across many denominations of Christianity. However, only four denominations have nuns. They are: Eastern Catholicism (such as the Maronites who are primarily based in Lebanon, and the Ethiopian Catholics in East Africa), Western Catholicism, Anglicanism, Orthodox Christians (including both Greek, Ethiopian, and Russian sects), Copts, and Lutherans all have nuns. However, other sects such as Baptists and Mormons do not have them. While people may call nuns “sister”, sisters and nuns in a convent or an abbey are two completely different roles. 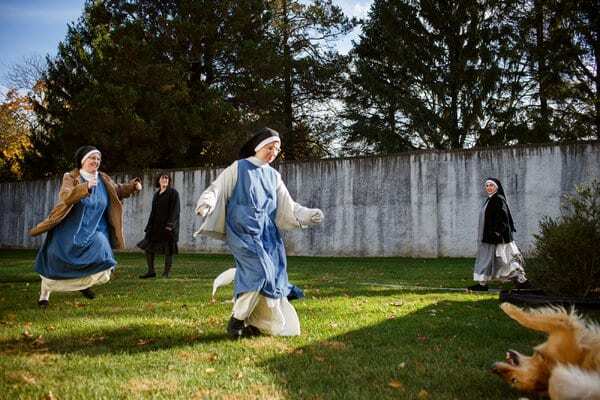 Being a nun for instance means that you are cloistered, separated from society, and live your whole life on the grounds of an abbey (except for when you need to go to the hospital of course!). A sister meanwhile are the ones who go out into the community, helping the poor and the sick. If you want to become a nun, you must go through a long, four step process to do so. 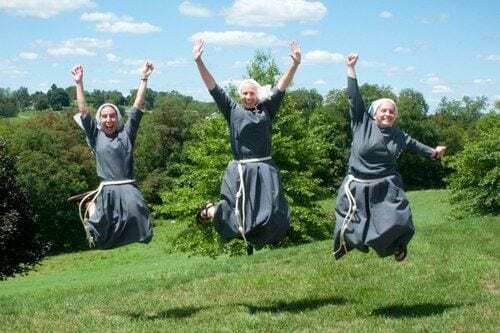 When you begin, you are in the Aspirancy stage, living at the convent for 3-4 weeks and taking classes while deciding if you want to be a nun or not to join. You then begin the Postulancy and Novitiate stages. You live in the postulancy for a year, learning the day to day living of a nun. By novitiate you finally get your habit and new name! How many different types of nuns are there? There are a whole plethora of nun types and orders. Nuns can be found in religions as diverse as Christianity, Hinduism, Buddhism, and many others. 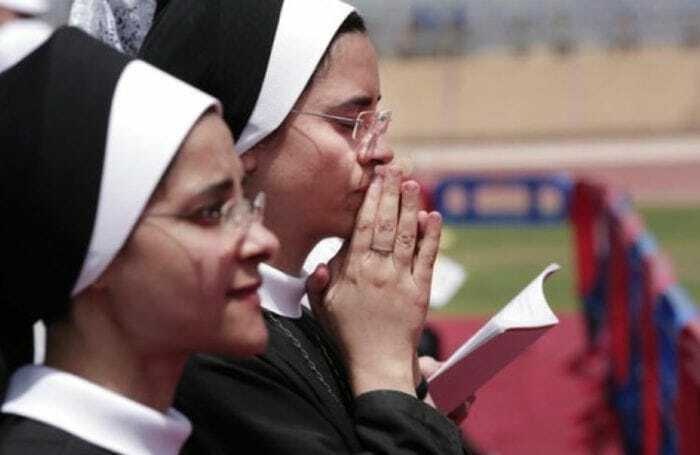 Within Christianity itself there are nuns in the Coptic sect, the Catholic sect, as well as all of the sects of Orthodox Christianity. In the United States, the most popular nun in the collective consciousness is the Catholic nun of which there are two types; Benedictine and Augustinian. In the 1850s there was a surge of pro-American nationalism led by the Know Nothing party. They were primarily anti-immigrant and anti-Catholic, and were prone to carry out violent attacks against Catholics, including against nuns. In fact, things got so out of hand that members of the party killed 22 Catholics in a riot in Louisville in 1855, as well as causing violence and harm to Catholic clergy in Maine and Baltimore. In order to be a nun, you must have the holy vocation. Christianity believes that everyone is given a vocation, or a range of different talents and abilities which will help that person have a meaningful life. If they are given the skills of an orator, perhaps they are meant to be a politician. But if they are given the vocation of service to God, then they are destined to work as a nun. While women in the 1800s were fighting for their right to be heard and be treated as equals by men in the realms of business, politics, and finance, nuns were already leaders in and of themselves in all of these things. Because of their self-reliance, they were already in the habit of making business decisions for themselves not only in trade and construction, but in education as well! 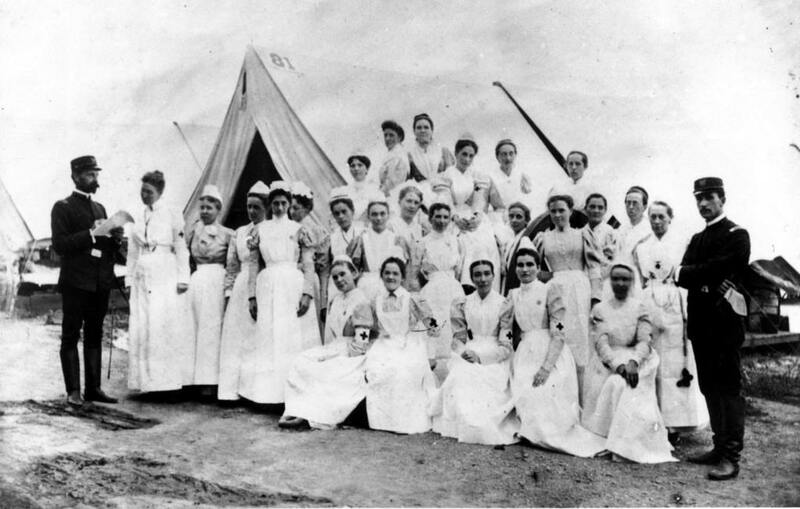 In fact, there were hundreds of hospitals and schools founded and run by nuns by 1906. When Christianity was first starting out in the first centuries of the common era, the religion spread in two directions – north towards Antioch (in what is today Turkey) and south to Egypt. In Egypt Christianity evolved into the Coptic sect of Catholicism, and some of the first monasteries ever were built there, including convents for nuns. In fact, the first nuns were ordained way back in the year 300. Nuns provided the first health care in the U.S.
Before 1871, most people couldn’t afford to go see a doctor, so many would suffer in pain until their either healed on their own or passed away. The beginning of this end occurred in St. Louis following the founding of St. John’s hospital in St. Louis, MO. Working with the United Railways Company. Sisters at the hospital worked with the company to help provide their workers with a health insurance plan. There is another main difference between nuns and sisters, in that there are additional vows which a nun takes that a sister doesn’t need to. A nun must make solemn vows to give up everything, including inheritance rights, whereas a sister only needs to make a light vow, and is allowed to inherit money and property. 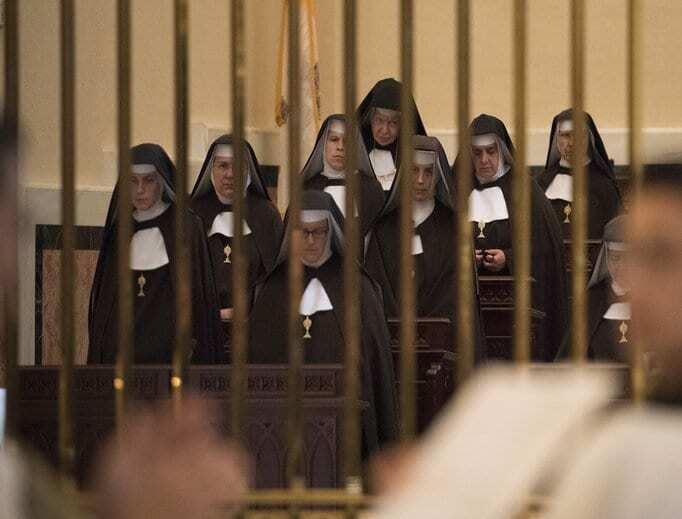 Additionally, while a sister is allowed out of a convent and into society, a nun must stay in the convent in constant meditation and prayer, sometimes taking vows of silence! Other religions besides christianity also have nuns, including Buddhists, Jains, Hidus, and Taoists. They live everywhere from India to China, Japan, Thailand, and even in Vietnam! They are integral people in their religions. There are even some of these Buddhist nuns in the United States! Despite the Buddha permitting nuns, he did so with great reluctance as he believed that his movement would fall within 500 years. But 2600 years later, the religion is still going strong! You may have seen sisters walking around town with a giant white flower looking piece on their head. 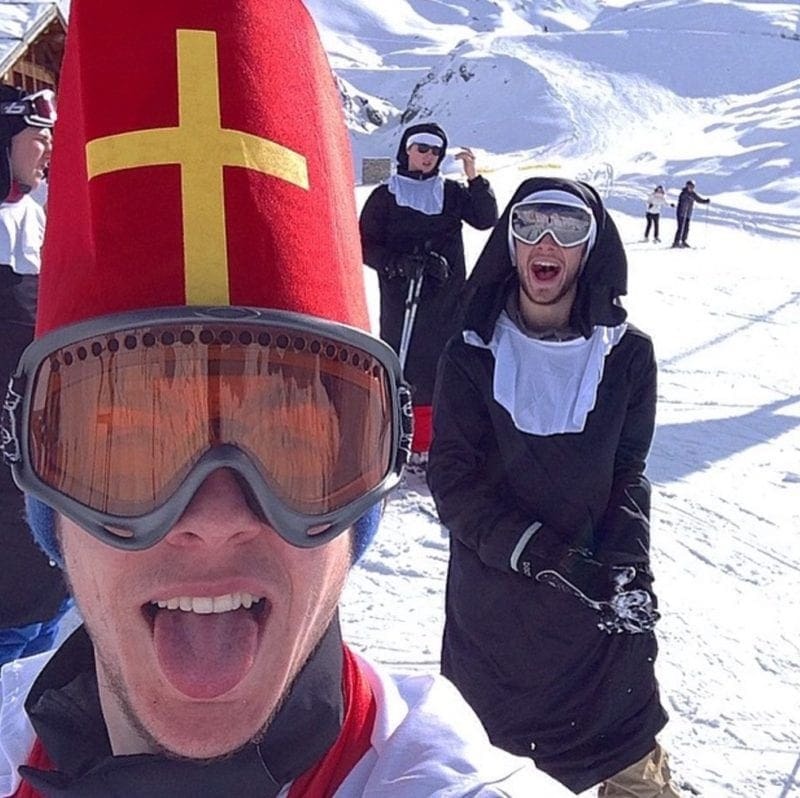 They seem to be dressed as nuns, but this headgear sure looks strange! What is that? Well, it turns out that it is called a cornette, and it is primarily worn by members of the Roman Catholic Daughters of Charity. 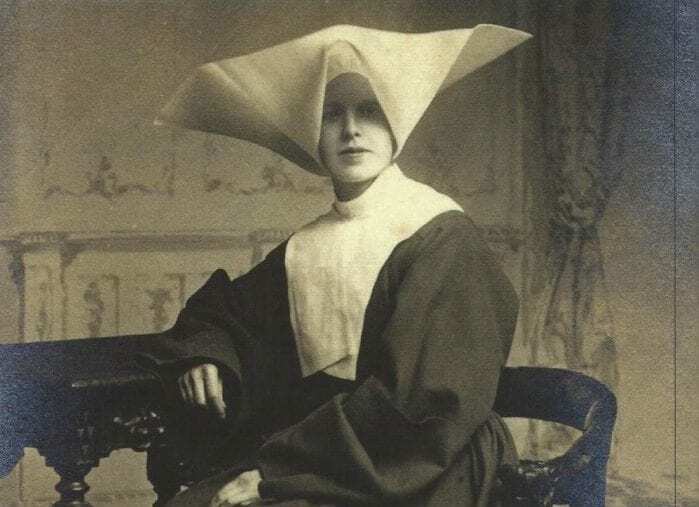 Cornettes were all the rage in europe between 1400-1800, and the founder of the church wanted the nuns to appear approachable to the average person! You may have seen a whole bunch of different styles of nun habit. But what do they all mean? 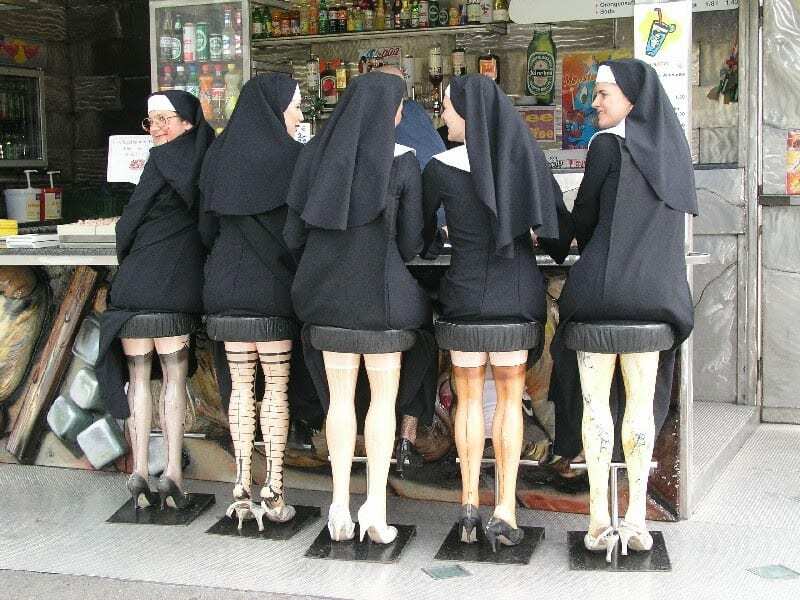 Well it turns out that for each community of nuns there is a different style of habit. The most typical style of habit that you see is that of the Franciscan nuns, while the sisters of St. Anne usually wear a necklace upon which is attached a large silver cross. You can also tell which stage of the profession a nun is in based on the style and color of the veil and habit. One of the greatest scourges the earth has ever seen is the forced enslavement of people by other people. Therefore, a group of nuns have decided to go undercover in order to release these poor souls. Called Talitha Kum, these nuns operate in 80 different countries, going to places where there is a high prevalence for slavery, and buying these people’s’ freedom. They have saved thousands of people so far, but there are still many more to be saved. A cloister is an area of an abbey where only the nuns can be. It is where the nuns live their lives and where they go about their day to day business. They are cut off from the rest of the world as well as the church, with the only way to speak or see them being through a grate or via a partition made of iron bars. Following a tornado which devastated the small town of Rochester, MN, the town doctor Dr. W. W. Mayo had so many wounded on his hands that he had to elicit the help of several Catholic sisters. The head mother of the sisters, Mother Alfred Moes then told Dr. Mayo about a dream she had the night before about how the two would set up a hospital together. 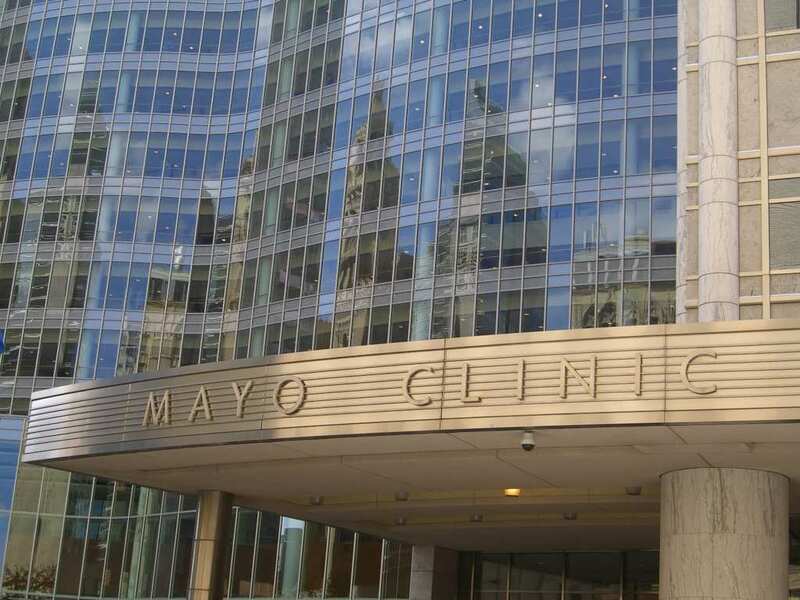 That hospital, the Mayo clinic, is now one of the world’s foremost hospitals. Life was extraordinary difficult for women of the middle ages, especially the wealthy. Many of them couldn’t deal with the worldly pressures of everyday life and decided to leave it all behind. 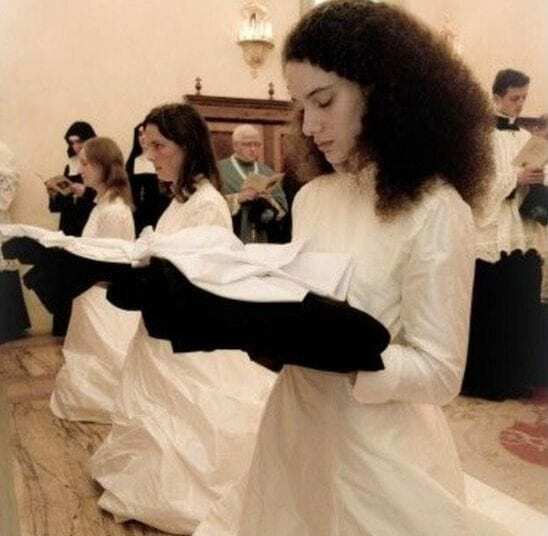 Many times, these women would found convents in order to not only pay tribute to God, but also to have a place to go to for peace, comfort, relaxation, and to contemplate and reflect on her worldly duties. And to pray and get close to God of course. Famous Hollywood actress Dolores Hart is one of the last people you would think would be interested in becoming a nun. One of the largest movie stars of her time, she even gave Elvis Presley his first onscreen kiss! However, while she was acting in her role as a nun in Italy, she met then Pope John XXIII. She introduced herself as “Dolores Hart playing Sister Clare.” The Pope then replied “No, you ARE Clare.” She was so moved that she decided to join a convent. Nowadays, many places in the United States want nuns who have had some sort of higher education. And one of the best places for women who want to become nuns (at least for Catholics) is at Catholic University. 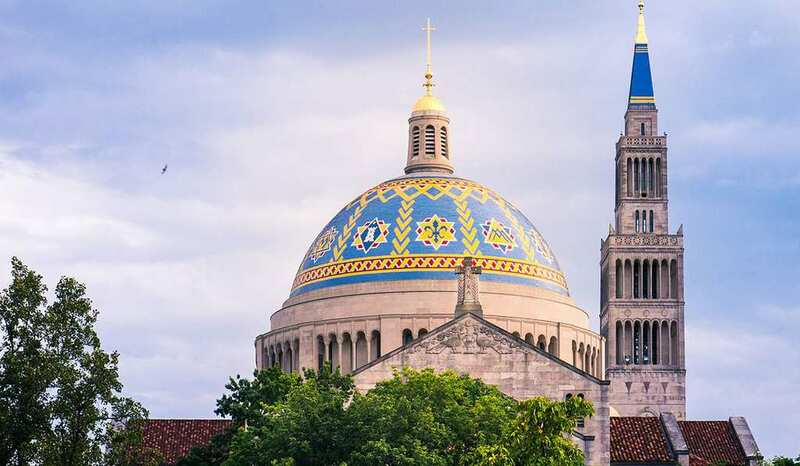 The university, who’s basilica can be seen from almost anywhere in the city, is one of the best places to learn about religion, and has many of the country’s top nuns amongst its notable alumni! 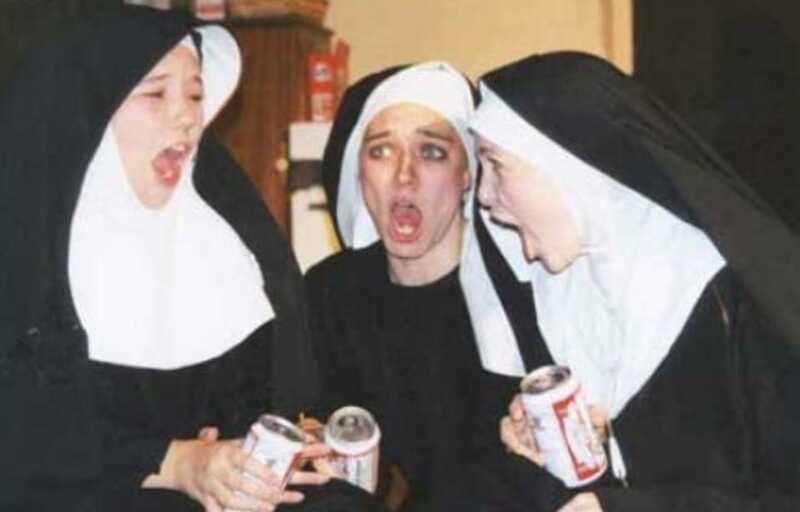 Nuns can be pretty cool, and on more than one occasion have even broken out into the world of rock and roll! 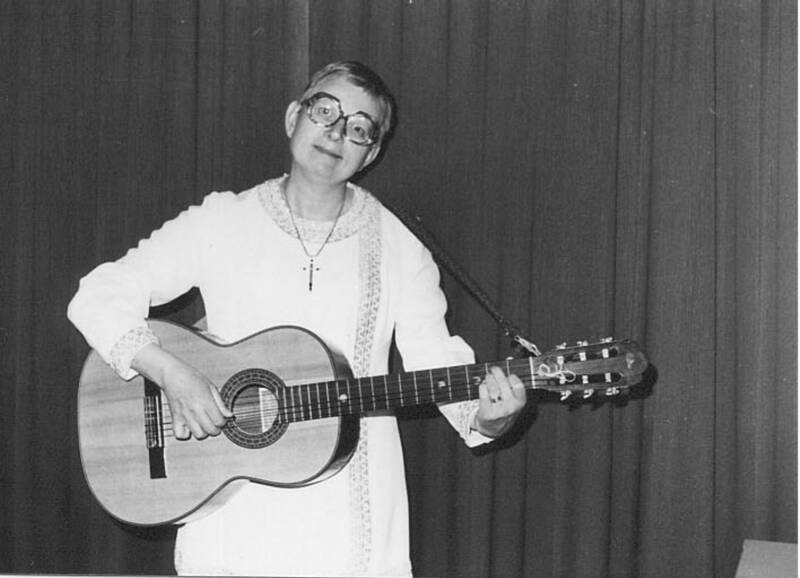 In 1951, a nun in Brussels with a gift for music named Sister Luc-Gabrielle appeared on the Ed Sullivan show to sing her song Dominique. It smashed records, sold over two million copies, and even knocked the king of rock n’ roll himself Elvis Presley off of the Billboard number one spot. 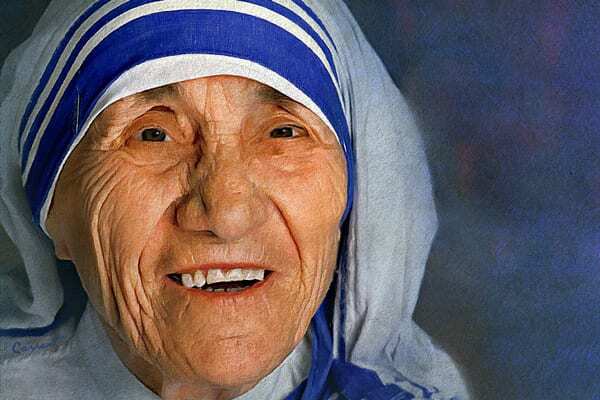 Mother Teresa was an Albanian sister who worked extensively with the poor in India. She helped get the plight of some of the poorest people on earth out into the international spotlight, and gained worldwide media attention. She was a friend to all – from British Princess Diana all the way to the sickest of the untouchables. By the end of her life, she had opened 517 missions in more than 100 countries. After her death, her spirit created several miracles, and she was beautified as a saint. One of the main ways that nurses changed the entirety of medicine was by always going for a more holistic approach. They always knew that the wounds or sickness physical body was only one part of the problem, and that the mind and the spirit are equally as important when trying to take care of someone. Starting as far back as 1900, nurses would talk to the patient to try to heal their soul and mind in addition to their physical ailment! Being called an abbess typically means that you are in charge of a particular community of nuns in a certain region or parish. The are the same rank as an abbot, and take on the role of being the female head of an abbey. Meanwhile, a prioress is also the head of a community of nuns in a region or parish, but they do not hold the same rank as an abbess or an abbot. When one thinks of nuns and religious orders, they usually think of a white woman of European descent. However, this is actually very far from the case! 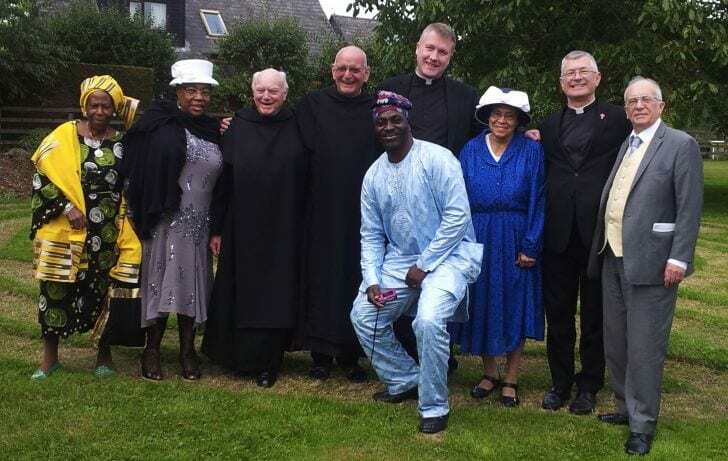 One Anglican order for instance is actually present on four different continents with nuns of every race! One of these order is called the Society of the Sacred Mission, and has churches everywhere from the UK to South Africa, Lesotho, Australia, and even Japan! Depending on the type of nun they are, some nuns have either really short hair or even have their hair completely shaved off. 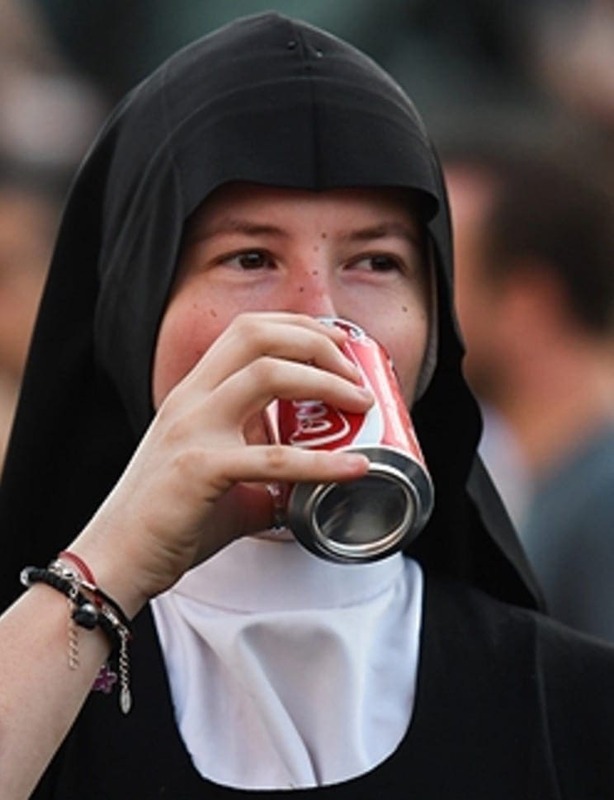 The reason for this is because nuns are not supposed to be different from one another nor are they supposed to have anything to show off to men or other women. Showing off to other women goes against being a nun and distracts nuns from focusing on their quiet contemplation with the Lord. 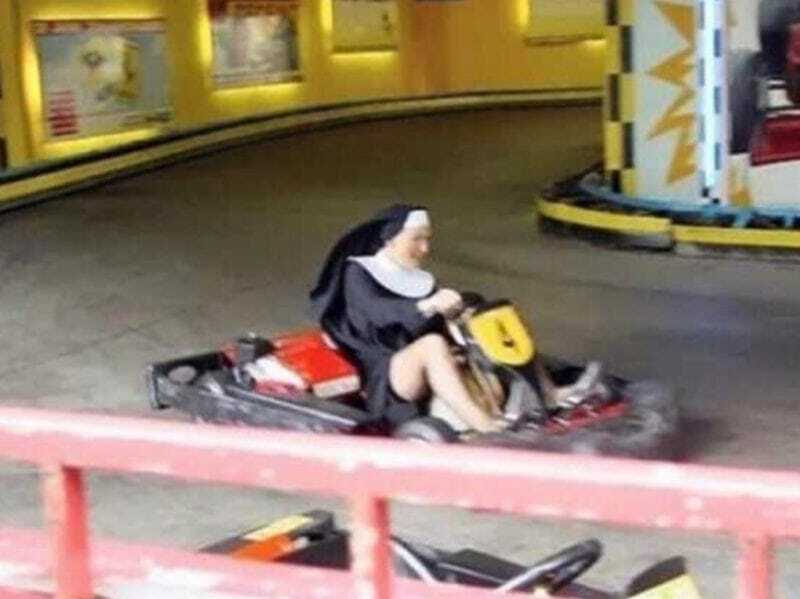 What do nuns do for fun? 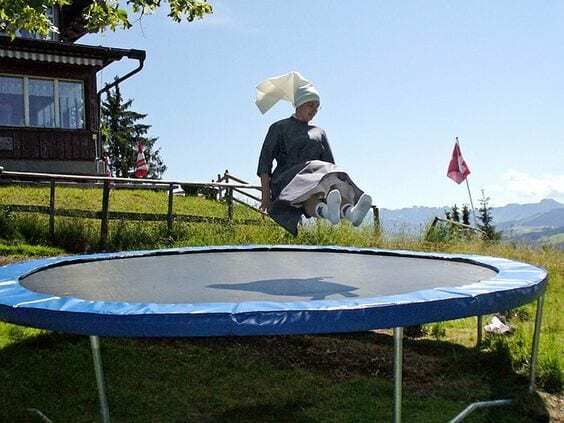 When nuns have down time, they usually like to do one of a multitude of fun and relaxing activities. Many of them are avid birdwatchers and love taking walks out in nature. Others may work on knitting or quilting. And still others may prefer to focus on cooking fun and exciting meals. 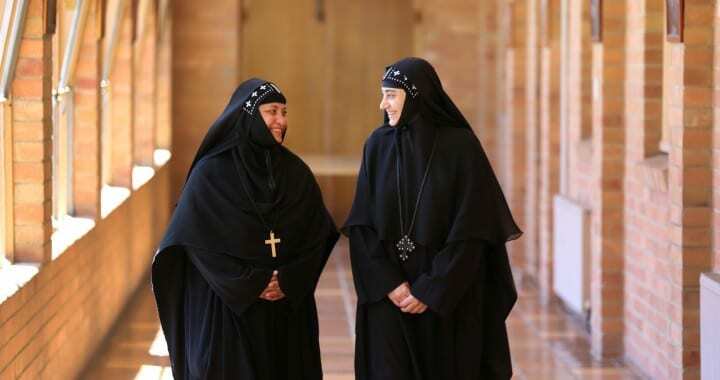 Depending on the type of monastery, the sisters may even have a television or a radio. Christina the Astonishing was a nun who lived in the 1300s. Born to pagan parents in Brussels (yup, western Europe still had pagans then! ), she died at the age of 21. 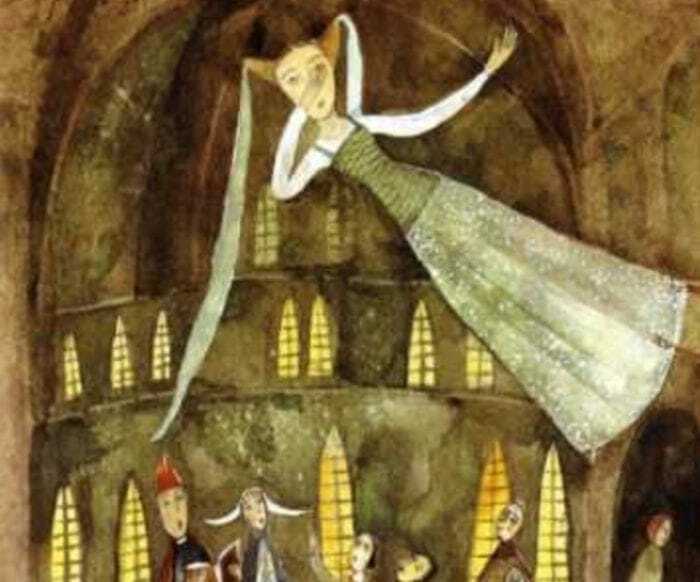 However, while her body was lying in state at the local church, she regained life and began flying. She said that God had told her to come back to earth in order to rid humanity of its sin. She was also known for being able to be lit on fire and not get burned. 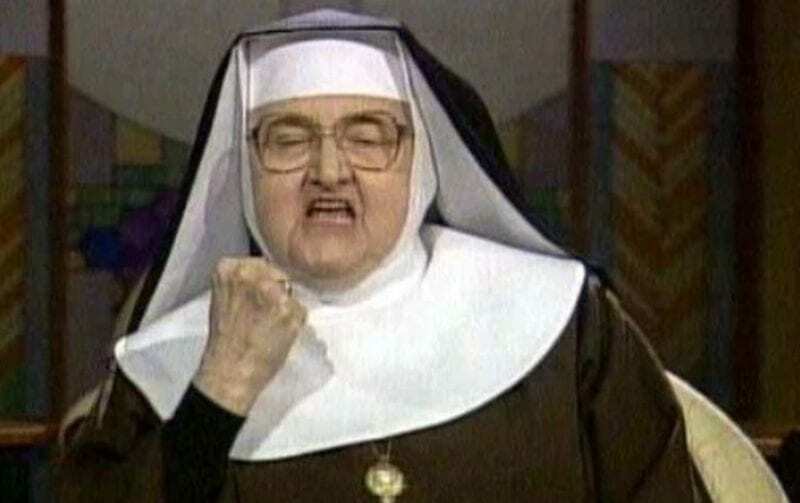 There is no such thing as a male nun, however, there is a male equivalent to the job a nun does. A male “nun” is called a monk, and they serve many of the same roles done by nuns, but the male version. 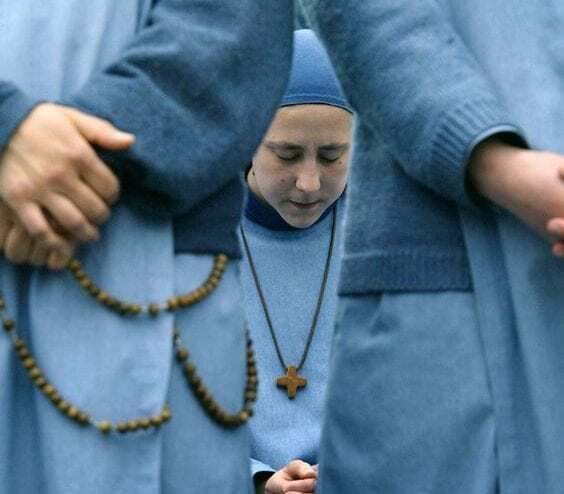 Just like nuns they pledge their lives to serving God, vow to relinquish all earthly possessions, and spend their lives in contemplation and prayer. Sofia Hayat is an Indian model and Bollywood actress who was ranked number 81 on the list of the world’s 100 most beautiful women. However, she decided to leave that immoral life behind and reconnect with her spirituality. She was in an abusive relationship with an Indian cricket star, and once she left, she says that she felt her spirit visited by the Hindu gods. She has since shaved her head and has now turned into a Hindu nun! Olalla Oliveros was a married, world famous Spanish model when something miraculous happened. As she was in the Sanctuary of Our Lady Fatima in Portugal, she suddenly had a vivid vision of herself in a habit – a vision which she could not shake. She felt her life was empty after that, and after consulting with a Spanish priest, she decided to go and begin the process to be a nun and be closer to God!